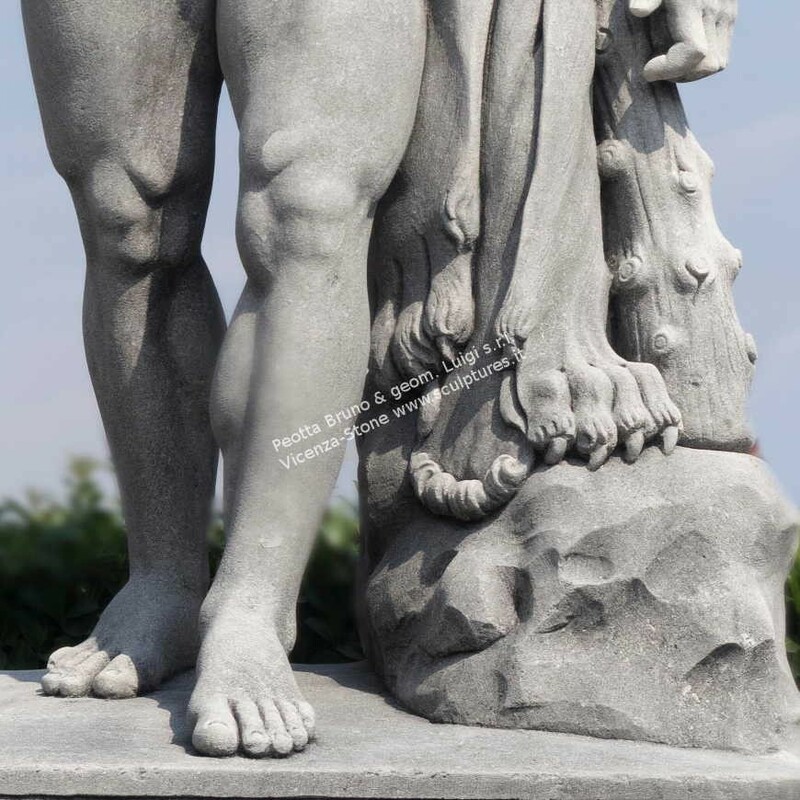 Handcarved large Statue in Vicenza stone. 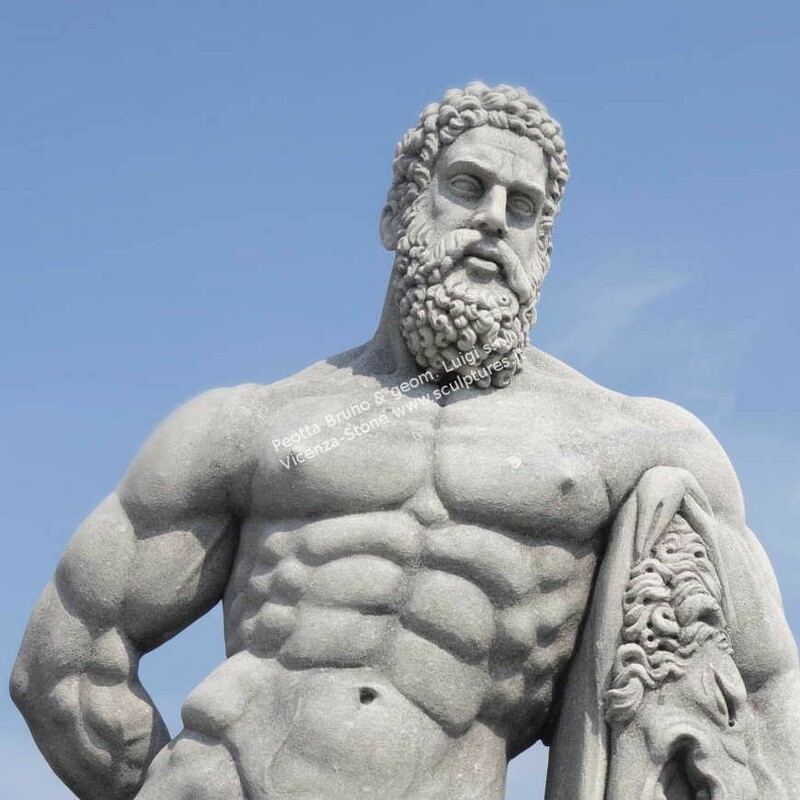 The Farnese Hercules is an ancient statue of Hercules, probably an enlarged copy made in the early third century AD and signed by Glykon, who is otherwise unknown; the name is Greek but he may have worked in Rome. 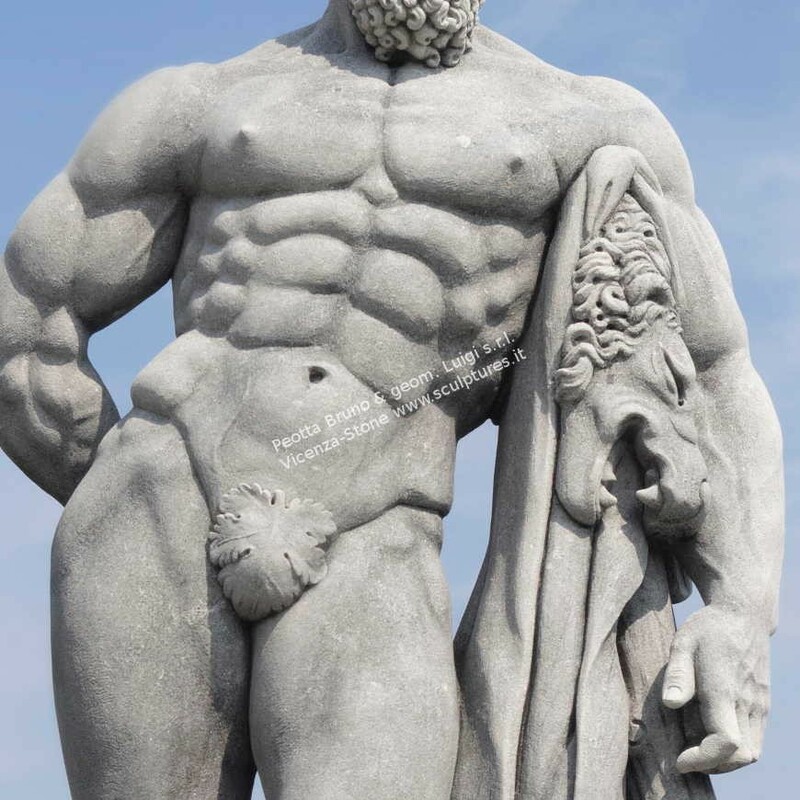 Like much Ancient Roman sculpture it is a copy or version of a much older Greek original that was well-known, in this case an original by Lysippos (or one of his circle) that would have been made in the fourth century BC. The enlarged copy was made for the Baths of Caracalla in Rome and is now in the Museo Archeologico Nazionale in Naples. 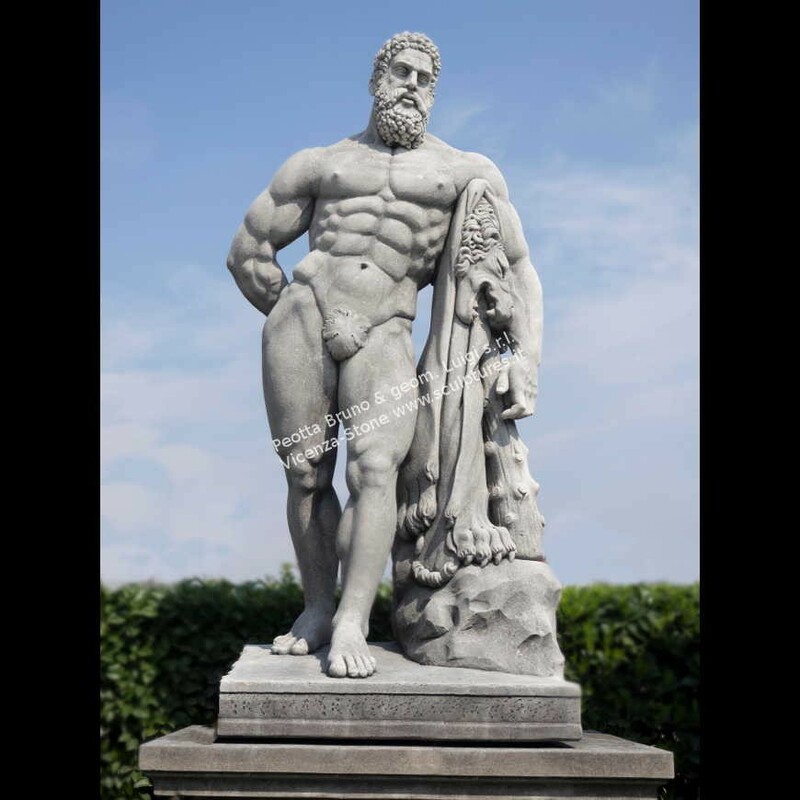 The heroically-scaled Hercules is one of the most famous sculptures of antiquity, and has fixed the image of the mythic hero in the European imagination. Dimensions: High 81” (available also a base not show on the picture).